When embarking on new eating lifestyle, many people are concerned with finding plant-based recipe substitutions for their old favorites. Whether it’s dairy, eggs, meat, or seafood, don’t fret – you have a lot of fantastic options! Below I’ve outlined all those and more. Consider this your comprehensive guide to plant-based alternatives to animal-based products, although if you find something missing, please let me know. Also, keep in mind, eating a plant-based diet means whole foods, for the most part. Therefore, you should only eat meat substitutions, which are usually higher in fat and salt, sparingly or only while you're making the transition. Almond is probably the most well-known non-dairy milk available. It’s a low-calorie option, and it’s usually fortified with B12, which is a nice plus for plant-based eaters. However, if you’re looking for a milk-alternative that also provides some of your daily protein needs, you’ll want to keep looking as it only has 1 gram per 8-ounce serving. If you're ambitious, you can make your own almond milk which will have not additives. Coconut milk is another popular option, though it is even lower in protein than almond milk. It also is high in B12, with 1 8-ounce serving giving you 50% of the USRDA. It contains several other vitamins and minerals, such as vitamin D, magnesium, calcium, iron, and zinc. Cashew milk is becoming more popular, as it’s become more commercially available. A lot of people are fans of this milk-alternative because of its flavor and thicker consistency that’s closer to that of dairy milk. Unless you’re making it yourself, it is similarly low in protein to almond milk. It also contains generous amounts of B12, as well as calcium, vitamin D, vitamin A, vitamin E, and iron. Soy milk is a long-standing favorite for many, this alternative is calorically similar to dairy milk with about 80-130 calories per 8-ounce serving. Soy milk has the most protein of the non-dairy milk (7 grams per cup) and also contains good amounts of B12, calcium, and vitamin D. magnesium, phosphorous, folate, and riboflavin. Hemp milk is another most nutrient-dense option. While it only has 2 grams of protein in an 8-ounce serving, it contains substantial amounts of calcium, vitamin D, riboflavin, B12, phosphorous, magnesium, iron, and zinc. It can be harder to find, and not everyone is a fan of its earthier flavor. Rice milk is a good option for those with nut and soy sensitivities. It too is low in protein (1 gram per cup) and is higher in calories than all of the other options mentioned here. Also, rice may have arsenic and you may want to stay away for that reason. If you are going to go with rice milk, make sure to get one fortified with calcium and other vitamins and minerals (though the levels will be lower than the others mentioned here). Pea Protein Milk from Ripple. These come in different varieties from unsweetened to regular and vanilla flavored. This brand is fortified with calcium and has added fat. It's a good substitute for those wanting to stay away from nuts or soy. Flax Milk also comes in unsweetened, regular and vanilla. It's fortified with Vitamin D2 and B12 and naturally has calcium. To replace buttermilk, add 1 tablespoon lemon juice or apple cider vinegar to 1 cup non-dairy milk. Let stand for 10 minutes. The milk may curdle somewhat. There are also a remarkable number of non-dairy cheeses available commercially. Some are delicious, some could easily be confused for plastic. Here are of few of the best, and why I think they’re worth giving a try. Treeline is a brand of artisanal cheeses that are sure to please any cheese-lover. Made from cultured cashews, they’ve got both soft kinds of cheese and aged hard cheeses. If you can find this brand in your area, and love cheese, I suggest heading out today an grabbing one of each! Follow Your Heart brand is a great go-to for a huge variety of plant-based options, including cheeses. From blocks to slices to shreds, they’ve got you covered. Their shreds even MELT, which is pretty awesome if you’re familiar with cheese alternatives. Some of their products contain soy, and some don’t. If you’re looking for meltiness, make sure you get one that contains soy. Kite Hill makes truly delicious spreadable cheeses. These go great on bread and crackers, making them great for any party where you need a quick hors d'oeuvres. They also offer a lovely soft-ripened and ricotta cheese, as well as pre-made ravioli stuffed with their cheeses! You can find the Kite Hill brand in Whole Foods stores nationwide. Go Veggie is another brand worth mentioning. While most of their products aren’t dairy-free, they do have singles available in a variety of flavors that melt nicely. These are a wonderful choice if you’re a plant-based grilled cheese fan! If you're adventurous and want to make your own, try the recipes from this new book by Julie Piatt, "The Cheese is Nuts!" From what I've seen the recipes look delicious. Believe it or not, there are quite a few good choices to use to replace oil and butter. From broth to various foods, here are my top choices. If you want to cook with less oil you might like this article, "Cooking without Oil." Vegetable broth: I use this to sauté my vegetables. You can add a couple tablespoons at a time, being careful to not use drown your veggies. You want the veggies simmering nicely in just enough broth to keep wet, but not filling up the entire pan you’re using. You can also use broth in baked-veggie recipes as a fat replacement – just make sure to keep checking as they’re cooking, in case you need to add more broth. In a pinch, water can be used it the same way. Bananas: Bananas are a great replacement in cookies, quick breads, or things like pancakes, but be aware that your recipe will have a banana flavor! Start with half of the number of mashed bananas as there is oil in the recipe, and if your batter is too dry, and more in, little-by-little. It might take some experimenting to get it right with this one. Applesauce: If you don’t want all your baked goods to taste like bananas, applesauce is a good replacement option. It will work well for things that are dense, like cakes and muffins. You can do a 1-to-1 swap of applesauce for butter. Prune puree: To make prune puree, pit your pitted prunes in a food processor with a little bit of water until it’s smooth. Use 1 tbsp of water with every ounce of prunes that you use. Prunes work best in chocolate-flavored recipes like brownies because in lighter-flavored things, you will taste the prunes. Use an amount of puree equal to the amount of fat that is called for in the recipe. 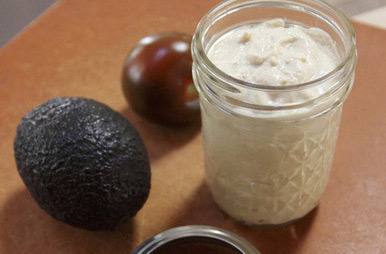 Nut butter: When baking, you can use nut butter fat replacer. This works especially well in cookie, muffin, and bread recipes. While you’re still adding calories to the recipe, you’re also adding more protein, minerals, and fiber than you would be if you wereusing oil. Swap it out of the recipe cup-for-cup. You’ll want to use a creamy variety of whatever nut butter you choose. Expect a dense end-product. Mix 1 tablespoon ground flax seed with 2 ½ tablespoons of water and let sit 10 minutes before using. One tablespoon for egg whites. There's also this egg-replacement from the Follow Your Heart brand. Not only can use it in baking, but you can also make plant-based omelets and scrambled eggs! Did you know that honey is not actually vegan? It's up to you whether you want to eat it or not. While there are other ways to substitute for honey, a whole food version is maple syrup. Agar powder: Though this will give you a texture that is less “jiggly” than gelatin, it’s a nice replacement for things like firm jellies. You can replace this 1-to-1 for gelatin powder. The simplest option is probably this vegan, unflavored gel, by Lieber’s. It’s a combo of a few ingredients, including carrageenan, and can be used in the same way that you might use something like Knox gelatin. 5 Delish Ways to Enjoy Seafood Flavor without Eating Any Fish from One Green Planet! Some replacements are less processed and more whole-food than others so choose wisely. If you're just started to eat less meat, some of the more process meat replacement might help you through but aim for a healthier version, ultimately. Tofu: There are so many ways to use tofu! So many, in fact, that I have an entire article dedicated to it. 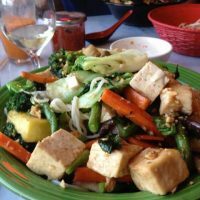 For all the ways you can use tofu as a meat replacement, check out my article, here. Tempeh: Made from fermented soybeans, tempeh is another excellent meat substitute. I’ve got another full-length article on the topic, that will help explain all the ways you can use it in your plant-based recipes. Seitan: Another meatless alternative I’ve talked about before is seitan. You can make it yourself or use store-bought. For more on how to use seitan in your recipes, read my article here. Beans: Any variety of beans, either ground or mashed, can be a great filling for things like burritos and sandwiches. You won’t get the same texture as meat, but you will get a filling, nutritious meal. And as most plant-based eaters know, a black-bean burger is a truly wonderful thing! Aside from quick swaps you can make, there are a plethora of products on the market that are made specifically for plant-based eaters who miss eating meat. Here are a few of the best brands out there today. But, again, be careful with these as they often have more fat and additives. I've listed a couple here, but you can find the complete list at Peta.org. Beyond Meat is a relatively new company that touts itself as the “future of protein. Their plant-based burger patties look and cook like fresh-ground beef, and has passed taste-tests of both vegetarians and meat-eaters alike! Yves Veggie Cuisine has been around for quite a while, offering anything from falafel balls to Bologna, to ground-meat replacement. If you’re looking for easy-to-prepare options, check out what Yves has to offer. Gardein not only has beef and poultry alternatives but fish replacements as well. They’ve got some mini “crab cakes” that look amazing! And they even have gluten-free options as well! New "synthetic" meats are on the horizon and may help people transition to eating a plant-based diet. There are literally dozens of options for meatless meats on the market today. 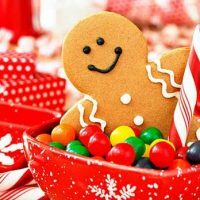 I found a site that is a great place to search through to see all of the products out there. It’s called Fake Meats. Check it out if you’ve got a meat craving! When you begin a plant-based diet, you may feel like your choices are limited. But as you can see here, there are so many ways to keep your meals delicious and interesting, while fulfilling the cravings you may get for non-plant-based foods. Note: This post contains affiliate links. Your purchase will help support plantbasedcooking.com at no extra cost to you. Previous Post: « Am I Getting Enough Protein on a Plant-Based Diet? Thank you so much for this list of substitutions! This is wonderful, useful, necessary information and it is all in one place! I am so grateful! You’re so welcome and glad it’s useful for you. Let me know if you find anything missing and I’ll add it to the list. Thanks for giving more options and tips. 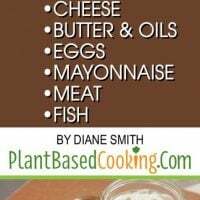 Thank you Diane for making my life easier by sharing your expertise in plant based diet. I’m going to start the diet with you in my mind. It will be hard for the first time but I’ll give it a try. God bless you. Thanks and wishing you the best of luck! Let me know if there’s something more that would help. Hi, Thank you for sharing useful information. I am living in India and new to plant-based diet. I am looking for a substitute for ghee (clarified butter) which is widely used in many Indian dishes. Could you please help with this? Hi, I’m afraid I don’t have a substitute for ghee as we use very little oil for plant-based meals. I have seen people suggest substituting with a vegetable oil, maybe a good olive oil. I’m not sure if that would work for you. I hope that helps and good luck with the new diet. ??? ?